Save 30-50% on North Face Jackets for the family, plus get free shipping with your purchase of $50 or more at REI.com. 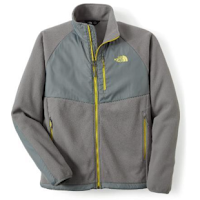 The pictured men's McEllison Fleece Jacket drops from $120 to $59.83 in grey, the lowest price we could find by $18. Or check out this women's Binary Jacket, which goes from $129 to $63.73, a price low by $14. We also found this women's Nimble Jacket, which goes from $90 to $44.73 in pink. Shipping adds $5.99 on orders under $50, but store pickup is also free on most items. Sales tax is charged in most states.